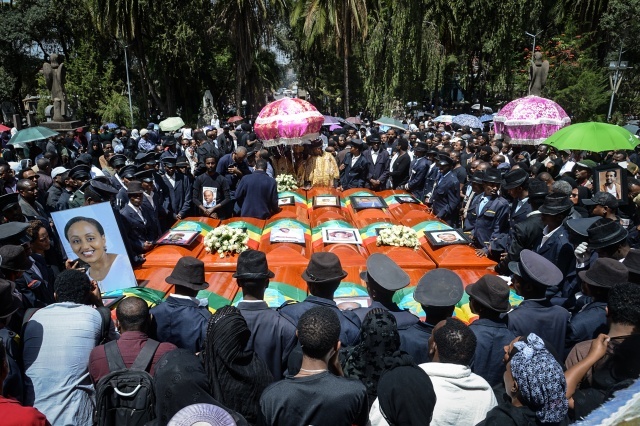 (AFP) - Black box data recovered from an Ethiopian Airlines plane that crashed last week show "clear similarities" with a recent crash in Indonesia of the same type of aircraft, Ethiopia's transport minister said on Sunday. While the cause remains to be determined, Boeing's CEO Dennis Muilenburg on Sunday said the manufacturer is "finalizing its development of a previously-announced software update and pilot training revision" to address behaviour of the MCAS "in response to erroneous sensor inputs." On Sunday the regulator, the Federal Aviation Administration, said it followed "standard" procedures, which "have consistently produced safe aircraft designs," in certifying the 737 MAX.